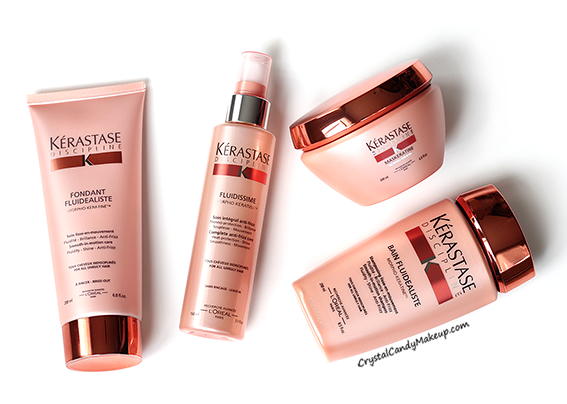 The new Kérastase Discipline collection is designed to tame even the most unruly hair and reduces drying time, thanks to the revolutionary Morpho-Keratine complex. The range contains five products: 2 shampoos (one is sulfate-free), a mask, a conditioner and a heat protecting leave-in spray. I've been using these products since 4 weeks now and they really make my hair less frizzy and more manageable! 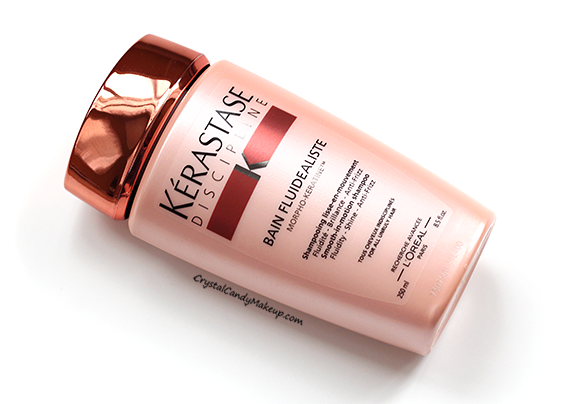 This is a good moisturizing and gentle shampoo! My hair is pretty long now and it lathers well so you don't need that much product. However, this is the kind of lather that disappear super fast so you have to work quick to dispense it through your hair. It leaves my hair soft and easy to untangle, so even if the Fondant isn't super moisturizing, both products works great together! 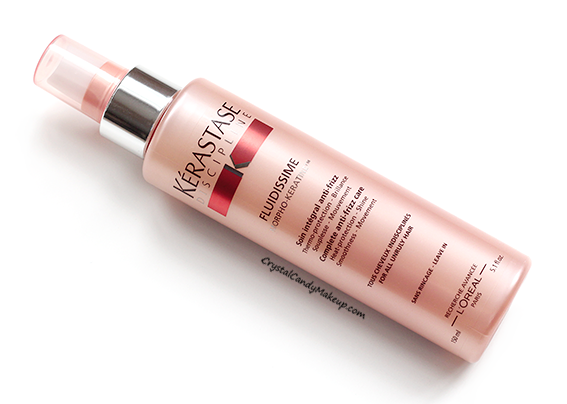 This product can be applied to either dry or damp hair, it claims to control frizz and protects the fiber during styling. 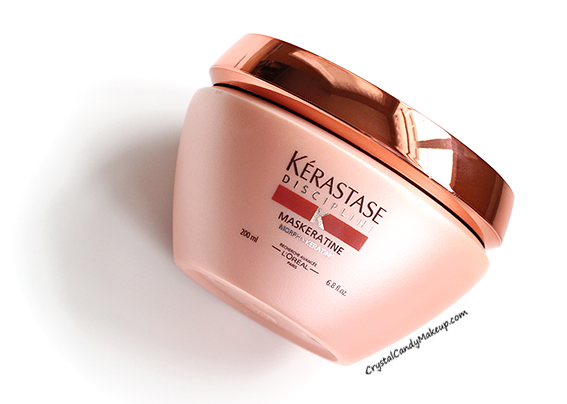 I don't know about the heat-protecting properties, I'm not quite sure how I would be able to tell if it works unless I use it for a much longer time, but it does help to control frizz without weighing my hair down. I tried it with another haircare range and it worked great too, so the spray is really good on its own, but I don't really need it when I'm already using the Bain Fluidealiste and the Fondant (or the Maskeratine!). Oh my god, I love this mask! 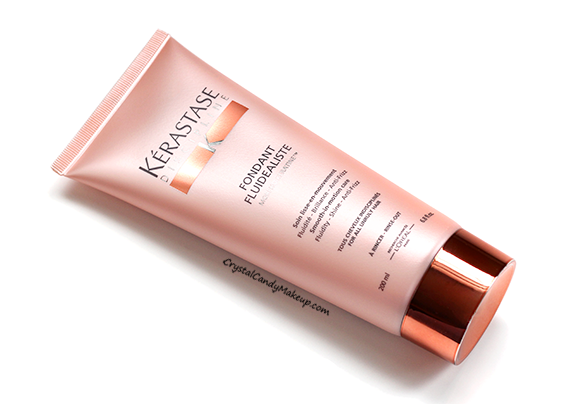 It contain a stronger dose of the softening agents than in the Fondant Fluidealiste, it leaves my hair so soft and smooth. My hair isn't as frizzy when I use it and it doesn't compromise hair volume too much. I love this mask even more than the Fondant Fluidealiste, but I still alternate between this and the Fondant Fluidealiste because it can lead to some build up overtime. This conditioner is great with the shampoo, it would normally be too lightweight for my hair but the shampoo is already quite moisturizing. I do prefer the Maskeratine though, my hair is even more soft and smooth with the mask. I have fine but dry and damaged hair so I can use a richer formula, if your hair is fine but not too dry though, you will love the Fondant! 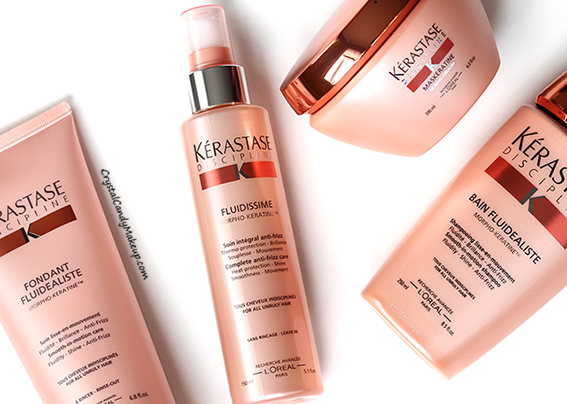 I would repurchase again the Bain Fluidealiste and the Maskeratine, although I won't use them up anytime soon because I don't use them everyday since my hair isn't always frizzy. It didn't cut styling time in half (I blow dry my hair in less than 5 minutes anyway), but this range is really useful for those hot and humid (or rainy) days because it really helps to control frizz and fight humidity!